Question. I bought my first home in the early 2000s when interest rates were much higher then now, and got a fixed, 30 year loan for 6.25 percent. This is a small condominium unit. I am 50 years old and will need to work at least 15 years to be eligible for retirement. For some time I have been wondering if I should consider getting a 15-year mortgage, as I do not want to be burdened with a mortgage in addition to condominium fees. Assessing how and when to consider such a change is confusing to me. I would appreciate your advice on the advantages and disadvantages of the 15-year mortgage compared with the 30-year mortgage. Answer. You have asked two very important questions. One deals with comparison between a 30-year loan and a 15-year loan, but the second one — equally important — goes to the question of when and whether to refinance. Let’s take the refinancing question first. You indicate that you have an 6.25 percent loan. To switch to either a 15-year or 30-year new loan means you will have to refinance. Before you even consider switching mortgage loans, go out and take a look at the interest rates in the marketplace. Interest rates are about as low as anyone can remember. It certainly would make sense for you to shed the 6.25 percent loan and get a new loan for a rate that might be as low as 4 percent. But do not forget that you will have to pay closing costs for your new mortgage, although some lenders currently advertise “no closing costs”. Be ware of getting anything for free; always shop around. Thus, under current market conditions, I believe you should seriously consider refinancing. The general rule of thumb used to be that until rates come down at least two full percentage points below your current mortgage, it does not make sense to refinance. This rule of thumb is, in my opinion, no longer applicable. When you do the numbers, you will see a dramatic saving to you — even if you take into consideration all of the closing costs associated with a refinance loan. You also asked about the advantages and disadvantages of a 15-year loan compared with a 30-year loan. I must state at the outset I am biased against the 15-year loan. While there have been many commentators who have praised what they perceived to be the benefits of a 15-year mortgage, in my opinion, such a mortgage rarely makes sense for the average homeowner. Let’s look at some examples. Consider a $300,000 loan to be amortized on a 30-year basis compared with a 15-year basis. While there are lenders who will give you a lower interest rate if you take a 15-year loan rather than a 30-year loan, for comparison purposes, let us assume the 30 year rate will be 4 percent while the 15 year rate will be 3.5 percent. To amortize the loan over 15 years, your monthly payment of principal and interest is $214.5. On a 30-year basis, the principal and interest is $143.40 There is a $71 cash savings per month on a 30-year loan. On a yearly basis, this is a savings to you of $853.20. Keep in mind that the interest deductions for tax purposes will, by and large, be the same for the first few years, but as your principal balance goes down faster with the 15-year amortization, accordingly your interest payments will also be smaller. While no one can guarantee at this early stage in the Trump Administration what Congress will do with taxes, it seems fairly clear that the Federal Reserve Board will in fact raise the tax rate. This means that the home mortgage deduction will also be higher, thereby giving you additional benefits for a 30-year loan. 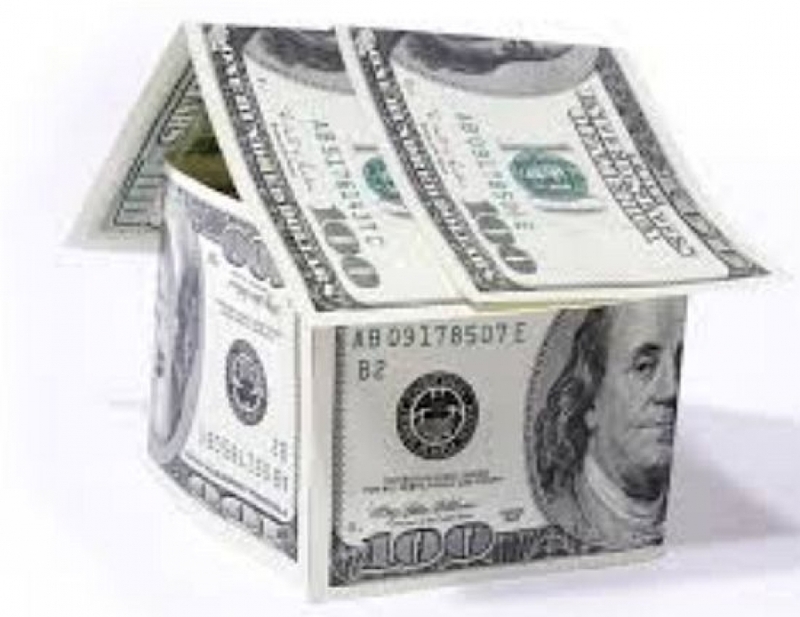 Thus, the major benefit of the 15-year loan is that you will save a lot of interest over the life of your mortgage. Additionally, you are also putting more dollars toward principal, thereby reducing your mortgage balance and building up your equity. Equity is the difference between the market value of your house and the mortgage or mortgages that you owe. In good real estate market conditions, property values increase on a yearly basis as much as 10 to 15 percent. Even in bad times, we all hope that property values will at least keep up with inflation, although obviously there will be dips and decreases in the market values on a periodic basis. But assuming we anticipate growth over the next decade, the equity in your house will grow regardless of the amount of your mortgage. This equity is “dead equity” and, in my opinion, you might as well be taking that extra money and burying it in your backyard. In effect, this is my analogy of the 15-year mortgage. I would rather take the extra money I pay each year and invest it somewhere. I could put it in a pension plan, I could invest it in the stock market, I could give it to my children or I could spend it on a vacation with my family. After all, what will you do with your house 15 years from now when your mortgage is paid in full? I know of too many people who are currently house rich and cash poor. When you are in retirement, you may not keep that condominium unit, or if you do, you want to make sure you also have some sort of nest egg to be able to enjoy your retirement years. If you have put all of your money into your house, and then you retire, you may not be in the financial position to tap into that equity at that later date. Accordingly, in my opinion, take the extra money you pay a year and invest it in a conservative, long-term investment for the next 15 years. Even without any computation for interest, this will grow in the next 15 years. That will be the start of this important nest egg for the rainy day. There is one other important consideration that should be addressed. Generally speaking, most mortgage loans do not contain a prepayment penalty. This means you can pay your loan — in whole or in part — as you see fit, and when you make that decision. If you take a 30-year loan, you always have the right — but not the obligation — to make additional payments each and every month so as to reduce your principal balance. Indeed, if you want, you could make a $214.50 payment each month (the amount of a 15 year loan) and use it to reduce your mortgage, if you have no other investment opportunities. But the 15-year loan obligates you legally to make the higher monthly payment. In my opinion, you get the benefits — but not the detriments — of the 15-year loan by opting to refinance on a 30-year basis. Some day in the future savings accounts may be paying a higher rate of return. You may want to consider investing that extra money in a savings account, rather than being obligated, each and every month, to make the 15-year monthly mortgage payments. However, the advice I give is obviously general. You are advised to discuss your specific needs, plans and tax considerations with your own advisers.